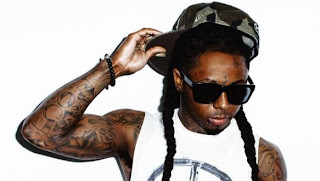 Lil Wayne ft. Juicy J - "Trippy"
Now that Lil' Wayne is out of the hospital and seems to be doing okay, he released a new track called "Trippy" featuring Juicy J. You know Wayne wastes no time when it comes to working on music and releasing stuff, so why would he let a hospital stay hinder his tunes? This new song is off his upcoming record I Am Not a Human Being II, which is out March 26th. I'll be honest, I've been pretty disappointed with most of Weezy's latest music and really came to listen because of Juicy J, but this song isn't bad at all. Solid production from Crazy Mike and fits the pair quite well. Stream below.